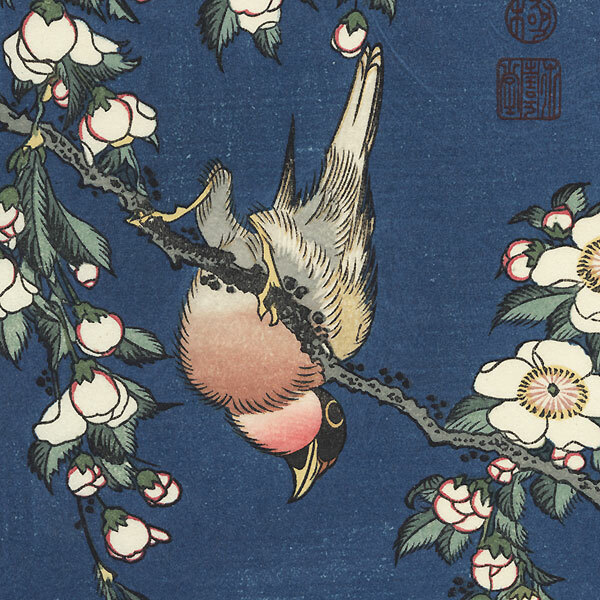 Comments - Beautiful Hokusai birds and flowers print depicting a bullfinch perched upon a weeping cherry branch. 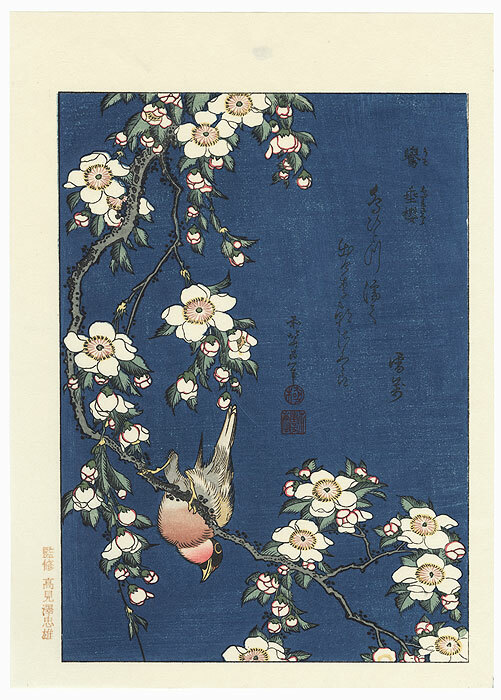 Beautiful deep blue background with lovely detail in the blossoms and buds. 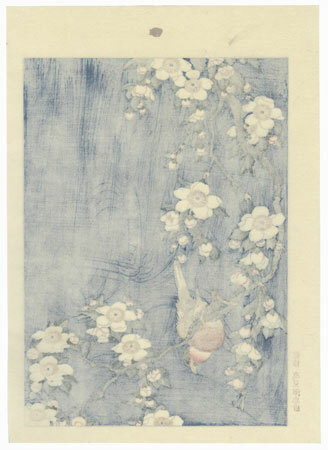 A fine example of Hokusai's kacho-e (birds and flower) subjects.